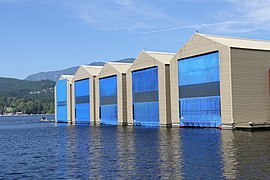 For the "Boat House" at the United States Naval Academy, see Hubbard Hall (Annapolis, Maryland). 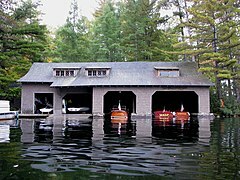 A boathouse (or a boat house) is a building especially designed for the storage of boats, normally smaller craft for sports or leisure use. 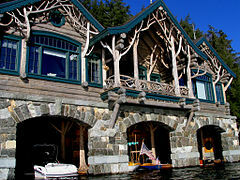 These are typically located on open water, such as on a river. 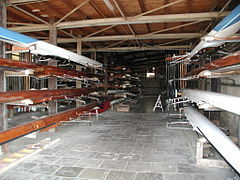 Often the boats stored are rowing boats. 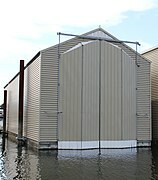 Other boats such as punts or small motor boats may also be stored. 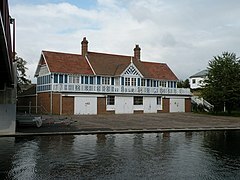 Sometimes, a boathouse may be the headquarters of a boat club or rowing club. 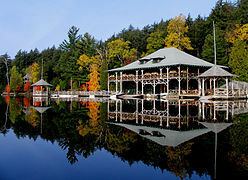 It may also include a restaurant, bar, and other leisure facilities, perhaps for members of an associated club. 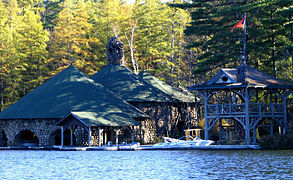 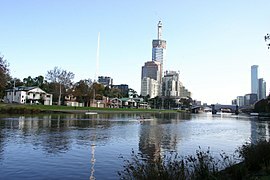 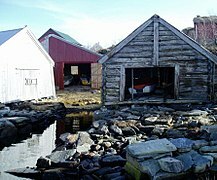 Boathouses are also sometimes modified to include living quarters for people, or the whole structure may be used as temporary or permanent housing. 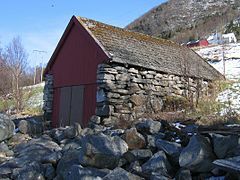 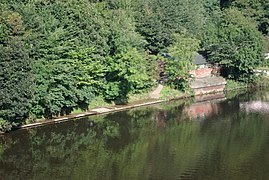 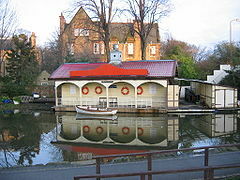 Wikimedia Commons has media related to Boathouses. 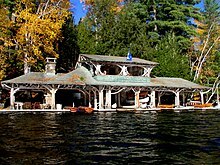 Houseboat, a boat used as a house.